Note: On the Bench Press, after warming up, use approximately 60 % of your 1RM weight for the sets of 5 Repetitions. The load should be challenging, but not a 5RM weight. 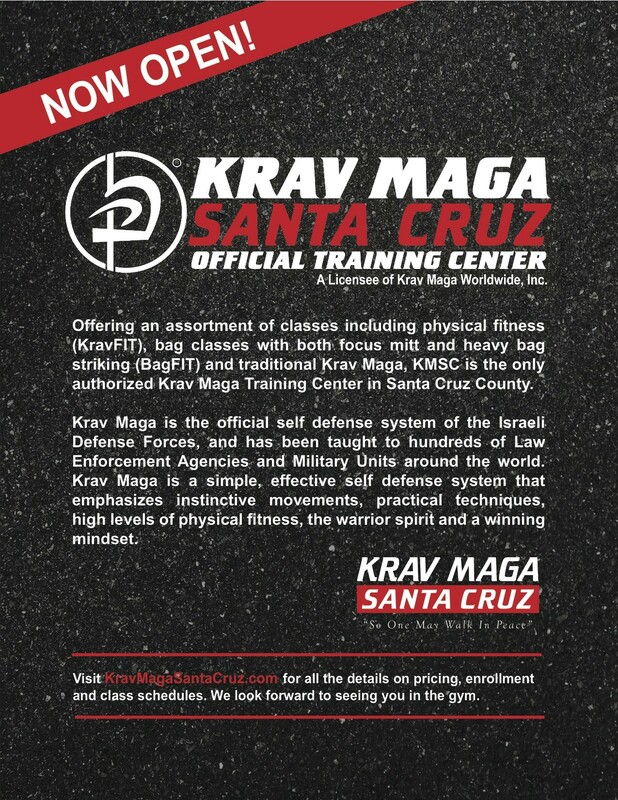 Krav Maga Santa Cruz- New Phase A, B & C Begin This Month!